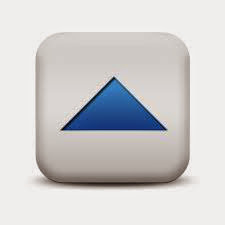 Blog owners have been trying to block tracking their own Stats pageviews, for a few years. This option has long been unusable, for blogs published to custom domains. 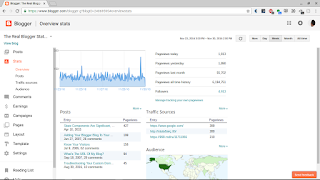 Recently, Blogger Engineering updated the option - and the dashboard page with the link. 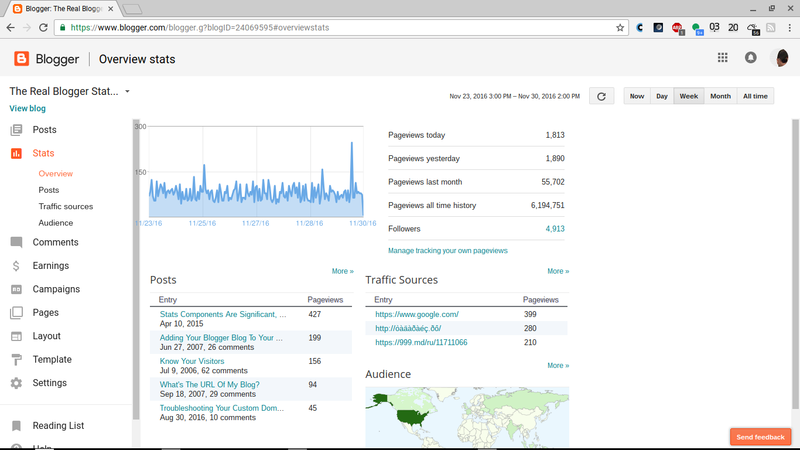 The new Stats option to "Manage tracking your own pageviews" is an improvement, over the old dashboard page. The new Stats option page is run as part of the blog - not the Blogger dashboard - so it does not require third party cookie access. Unfortunately, this provides no obvious help, to people who publish their blogs to custom domains. To see the problem, start from the Stats dashboard page. And, you get "This site can’t be reached" or a similar error. 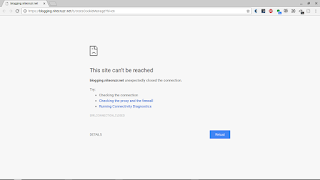 Custom domain published blogs do not support HTTPS access - even from the Blogger dashboard. So, change "https:" to "http:", in the address window. 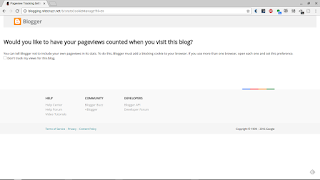 If you manually remove the "s", you can access the "Would you like to have your pageviews counted when you visit this blog?" wizard. 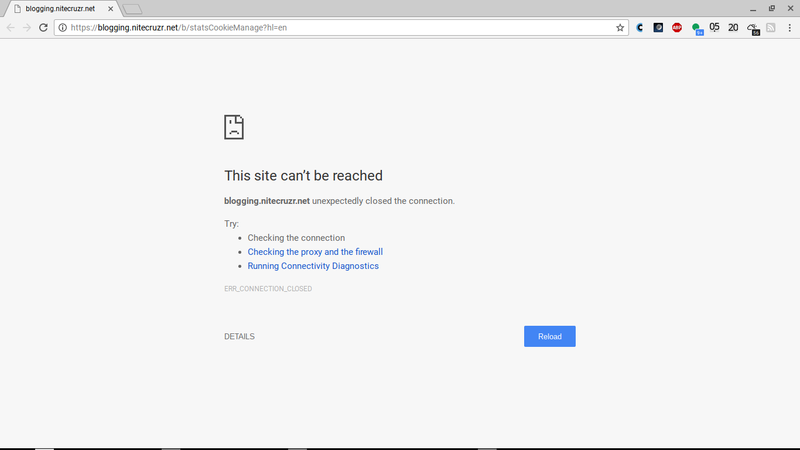 You can't access the "Manage tracking your own pageviews" for a custom domain published blog, by simply clicking on the dashboard link. This suggests an interesting detail. Now that "Manage tracking your own pageviews" runs under the blog URL, it will be subject to script filtering - for "blogspot.com", any applicable country local domains, and / or a custom domain URL. You may need to correct your browser script filter, to make "Don't track" work, now. 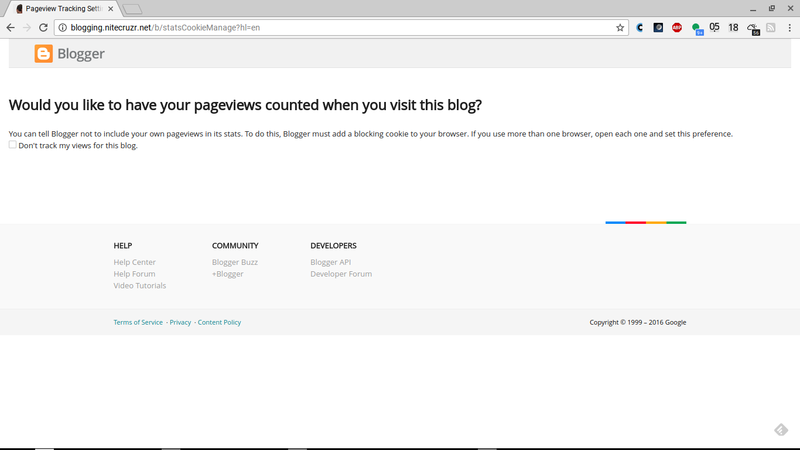 Owners of custom domain published #Blogger blogs have been wanting to block Stats from counting their own pageviews, for a few years. This option is now available - but not in an obvious way. Thank You for the solution. Bought custom domain 2 years back. I verymuch dissappointed by not working of dont track my pageviews once I sent mail to google for this problem.